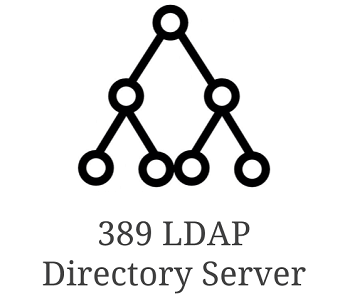 389 Directory Server is an open source enterprise LDAP Server. This can handle very huge volume of data. One of the huge benefit of 389 LDAP server is that it is lighting fast and process upto handle several thousands of operations per second. This has several advanced features including asynchronous multi-master replication for horizontal scaling, which in-turn provides provides 100% fault tolerance and extremely high throughput. Also, keep in mind that this supports TLS, SASL for authentication and transport. 389 Directory server is fully LDAPv3 compliant. This tutorial explains how you can install and configure 389 directory server on your Linux environment. If you don’t have EPEL repository setup, make sure you set it up, as we’ll be installing the 389 related packages from EPEL. First, download the epel rpm from Fedora website as shown below. Next, Install the epel repository on your server. Make sure the host file is setup properly. In this example, the following is the current /etc/host file setup. Depending on how much resource you have on your system, you may want to bump-up the above file-max number bit more. Execute “sysctl -p” command as shown below to make sure the above changes are made to your system. Set the ulimit value to 8192 as shown below in your /etc/profile file. Verify that this entry is added to the /etc/profile file. Modify the /etc/pam.d/login file and add the following line to include the pam_limits.so file as shown below. Make sure the pam_limits.so file is present on your system. Note: On 32-bit, use the following, as the location of this file is different. If you are using EPEL repository for the first time on your system, this may ask you to accept the key as shown below. Say “y” here. After installing the required 389 LDAP Server packages, then execute the setup-ds-admin.pl script, which will configure the 389 Directory server setup on your system. The above program will ask you to enter several values. Most of them are intuitive and straight forward. But, I’ve shown partial output of whereever this is asking for user-input below. In the following screen, if you are new to 389 directory server, choose the typical setup, which will setup all the common configuration options for you. If you’ve setup your /etc/hosts file properly as explained in one of the previous setps, it should properly pick-up your computer-name here as shown below. You just have to press-enter here and move on. If your server doesn’t have proper FQDN setup, then you’ll see this error message during your setup-ds-admin.pl script execution. Press Ctrl-C and come-out of this, address the FQDN issue and then re-run setup-ds-admin.pl again. By default, this will use dirsrv as the username and group. Since we created a user called ldapadmin in one of our previous steps, specify that here. Since this is the first setup we are doing, we don’t have a configuration directory server yet. So, press enter here to accept the default choice, which is ‘no’. But when you are doing multiple installation of this, you might already have configuration directory server setup, in which case, you should say ‘yes’ and specify those information there. At this stage, you have to specify the admin username and password for the new directory server that this is going to setup. You’ll be using this uid and password to login to the console. Enter the unique identifier for your directory server. First, setup your directory tree accordingly. In this example, this is the root of our directory tree, which start with thegeekstuff.com broken down by dc as shown below. Next, sepcify the directory manager, which is a DN where you’ll have the administrative user who will perform certain directory server operations. Press enter to accept the default name. Enter the password here for your directory manager user. Specify the admin port. Please note that this is different from your application server or web server port. Just accept the default value here. Say ‘yes’ to the following final confirmation message to start the directory server configuration based on the values that you’ve entered so far. You’ll see the following output indicating that the script is setting up the directory servers based on your configuration values. If you don’t have SELinux setup and configured properly, you’ll get the following ERROR message. In this case, you may want to temporarily disable SELinux and run the setup script. The last line of the setup script will show the name of the log file. dirsrv is the startup program name. Use systemctl to start the 389 Directory Server as shown below. To control the admin server for your 389 directory, use systemctl as shown below. The admin program is known as dirsrv-admin as shown below. Finally, use the ldapsearch command to validate that the setup is done properly.